The end of an era. She has been a part of my life and all my friends lives for the last 20 plus years. She has never visited me ... she has never phoned me... she hasn't sent me any money or gifts. She hasn't surprised me with my "Ultimate Dream" or "my Wish Come True" or reunited me with long lost relatives. She has never given me a make over or arrange for me to go to a spa or all inclusive resort. 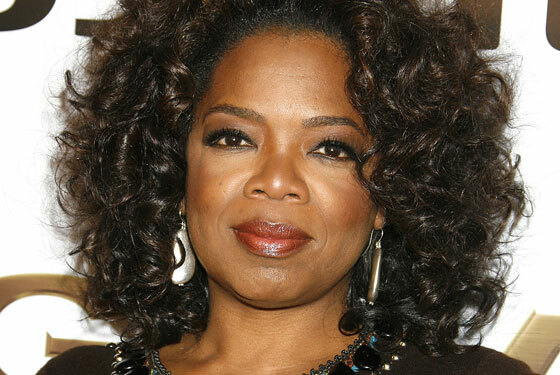 But Oprah has played a big part in my life and I can't imagine my life without her. She has encouraged me through my weight issues. She has opened my eyes to issues like homosexuality, poverty, racism. She made me brave when it came to issues of sexual abuse, teaching me that it wasn't my fault. She made me proud of my "pay it forward" way of life. She taught me about how mean families can be to each other, and how we can't turn our backs on families who need help. She made reading, and reading diverse subjects easier to endure. She made me realize that all mothers in the world weren't as great as my mom for teaching me independence, equality in women .. but she taught all women and girls of their worthiness. I started a gratitude journal which opened my eyes to all the things I was so lucky to have in my life. I have enjoyed a few "aha" moments in my life and she made me recognize them. She has taught me about generosity and helping others. She has taught me about honesty and friendship. We are so lucky to have had Oprah for the past 25 years in our lives. I am sad to see her go but understand she must move on. I haven't watched Oprah in years. Just because we can't get that channel, probably. I did read some of the books she recommended and have some of the movies she starred in. It's true. I can't remember a time when I didn't watch Oprah. I was so impressed with all the lives that she's helped and changed. I'll miss the Oprah show for sure. A proud moment - a Cat Tail!